Schools & Special Olympics: a partnership that works! 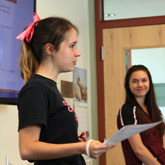 Youth are educating, empowering, activating, and motivating people to foster respect, dignity, and advocacy for individuals with intellectual disabilities. Through Special Olympics and the Youth Activation Committee, youth serve as leaders by implementing programs that unify schools, transform communities, and promote acceptance and inclusion for all. An increase in partnership between youth and adults to reach out and educate, motivate, and activate them to become more involved in Special Olympics and its initiatives. Involving youth in leadership roles to provide innovative new perspectives to ensure the continued success of Special Olympics Southern California. Youth will have a better understanding of how to reach out to their peers to engage them to Be a Fan® of Special Olympics. 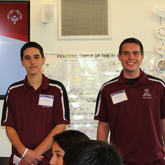 Special Olympics Southern California is looking for youth to join the movement as leaders. You will educate other youth that intellectual disabilities cross all boundaries of age, gender, religion and culture. Youth leaders help carry out Special Olympics mission and promote inclusive environments in their schools and communities. 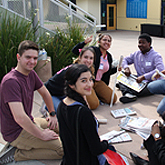 If you are a youth leader who would like to learn more, please contact Melissa Erdmann at merdmann@sosc.org or 562.502.1122.